John couldn’t believe that an innocent purchase would turn out to be a rare buy. It only took one weekend back in the mid-1990’s with a friend’s MX-5 Miata to turn Steve Gunn into an MX-5 fan. “These aren’t cars,” Joe Burns explained. “They're part of our family. They build memories for life. Even to this day, we'll just hop in the car and take a drive and make a new memory for the family." Sometimes cars are destined to be owned by a specific owner. That was the case for Rina Jacobson and her 2000 MX-5 Miata, which she bought in 2011--for the second the time. At 66 years old, Kaitlyn Lydell isn’t your typical race car driver. With more than 20 years of experience with the MX-5 Miata, serving as president of the Bay Area Miata Club and tracking her MX-5 for the last decade, she’s at the track more than 30 days a year and couldn’t be happier. After nearly 20 years of owning three MX-5's, Hisaoka has discovered that with the ability to update her car with different colors and accessories, she has discovered the ability to make her MX-5 a true extension of herself. Brandon Matthews has always been drawn to cars. Over the years he’s owned various types, but it all changed when his friend let him drive his MX-5 Miata. A deeper connection with her father has been the most rewarding thing about being part of the Mazda MX-5 Miata community. At age 14, Robert Noaker was admitted into The Guinness Book of World Records. Noaker became the youngest person to win an IndyCar sanctioned race, with his first place finish at the Mazda Global MX-5 Cup in Lexington, Ohio. You don’t know what true freedom feels like until you’re cruising down a road with the top of your Miata down, beard flowing in the wind. Racing Beat carved out their niche, serving diehard enthusiasts who crave racetrack-honed performance. Looking for the perfect valentine? Mazda's got you covered. Take our five-question quiz to find out which Mazda vehicle is your true love and perfect valentine. The gold and silver are long gone, but the memories of a thriving era survive in Colorado’s ghost towns. We take a Mazda CX-5 to explore the Wild West that time forgot. When Lauren Carter of Glendale Heights, Illinois bought her 2013 Mazda3 5-Door she had no idea she had just purchased the 10 millionth Mazda to be sold in the United States. Celebrating the joy of driving makes sense for Mazda. New or old, classic or showroom fresh, every Mazda vehicle is engineered with the purpose of sharing that joy. Mazda is celebrating its first engineering breakthrough at the 2017 Japanese Classic Car Show in Long Beach, California, paying homage to the engine that put it on the map and continuing to draw fascination from fans the world over. With immaculate examples from every era of post-war Mazdas, this priceless gathering of vehicles distills the history of the marque into one handy 5,300-square-foot area. The fast, close racing in the Spec Miata class reminded Marc of the energy he loved so much on stage, and he knew he had to try it for himself. An online community where you can meet like‐minded Mazda fans, see their cars, and show them yours. Once you escape the urban L.A. sprawl, there are scores of canyon roads swooping up into the hills that can put a huge smile on an enthusiastic driver's face. Custom bicycle designer Hernan Monenegro is a man who plans for the future. His handmade, ultra-light frames are built to be both durable and timeless. Los Angeles is a breeding ground for innovation, whether that’s in design, engineering or simply attitude. A place where new ideas come to life, with an optimistic, enterprising outlook in the endless California sunshine. After 15 years and over 191,000 miles, Minnie has become something more than just a vehicle in their garage. 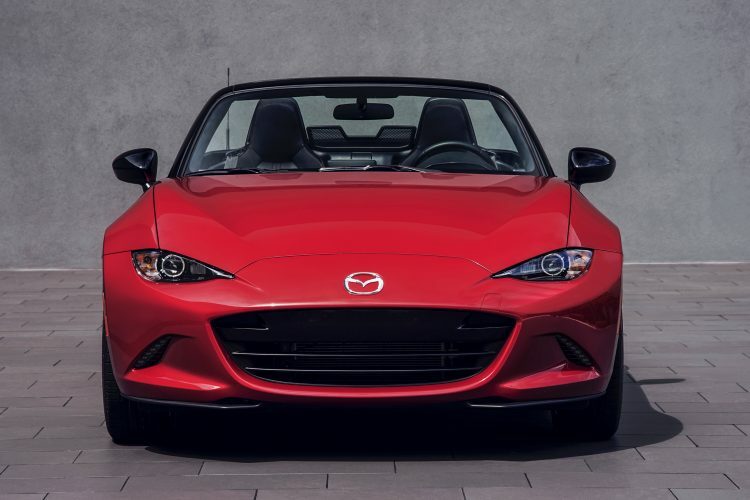 When Mazda announced the pre-sale of the 2017 MX-5 Miata RF hardtop convertible, Miata enthusiasts all over the United States quickly signed up to preorder. Many of the challenges of driving in snow or heavy rainfall can be easily dealt with by selecting the right set of tires for your vehicle and driving conditions. With thousands of models coming from hundreds of automakers over the decades, few cars have followings of enthusiasts the world over quite like the Mazda MX-5 Miata. In a sea of expensive luxury cars, Alfred Morris’ 1991 Mazda 626 sits snugly in the Dallas Cowboys’ parking lot. Since its inception in 2009, the first Miatas at Mazda Raceway started as a celebration of the 20th anniversary of the MX-5 Miata. It quickly became a desirable event for MX-5 Miata enthusiasts, attracting numerous enthusiasts each year after. The one-millionth Mazda MX-5 Miata continued to delight fans as it made its way through the Deep South with stops in North Carolina, Georgia and Florida. The epic cross-country tour of the one-millionth Mazda MX-5 Miata continued through the heart of America with multiple stops in the Midwest. Do you think you know everything there is to know about the MX-5 Miata? Take the quiz and see if you’re a true Miata Maniac. The Mazda Cosmo 110S was the first ever Mazda sports car powered by a rotary engine. This rare classic takes on Scotland's spectacular North Coast 500 route. The Millionth Miata Celebration Tour made its way to the Northeast and couldn’t have asked for a better turnout for the first series of regional tour stops. Four years and 15 Mazdas later, the Commale family is already looking forward to new additions to their garage. During the Rolex Monterey Motorsports Reunion, Mazda welcomed the one-millionth MX-5 Miata to the U.S. in its first of 18 stops around the country. One family, in the all-new Mazda CX-9, go on an activity-packed Californian odyssey, with the goal of being able to surf, kayak and ski all in a single weekend. With a classic Mazda REPU pickup truck—and a surfboard—we discover a slower pace of life on the California coast. Wherever you decide to go, in most cases, you won’t need chains with the superior traction and predictive nature of Mazda’s i-ACTIV AWD technology. Mazda dreamers can remember the moment they first saw a Mazda. For some, that moment ushered in a newfound appreciation for driving, and for others, it was the common bond of love for Mazda that sparked new friendships and relationships. A starting pitcher on the Los Angeles Angels of Anaheim roster and owner of successful Mazda dealerships. What happens when you take all of the great things about the MX-5 Miata and amplify them? For over 25 years, MX-5 enthusiasts have been exploring the outer edge of the MX-5’s performance envelope with outstanding results.